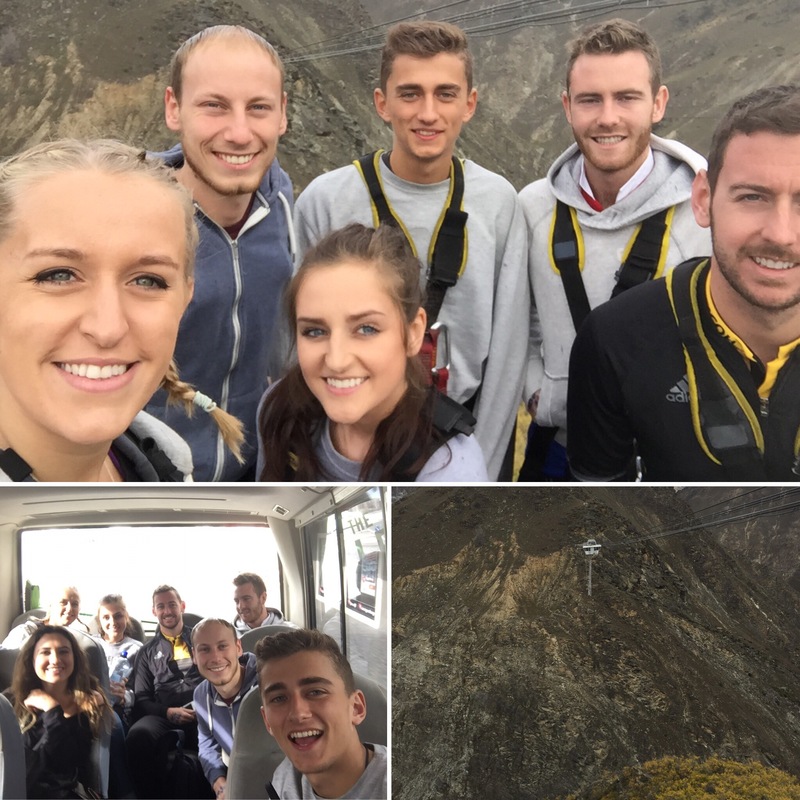 On Wednesday 19th April 2017 myself, Niall, Megan, Hugo, Padraig and Keith all went to throw ourselves over a ledge to freefall 134m for 9.5 seconds in a canyon 45 minutes outside of Queenstown. 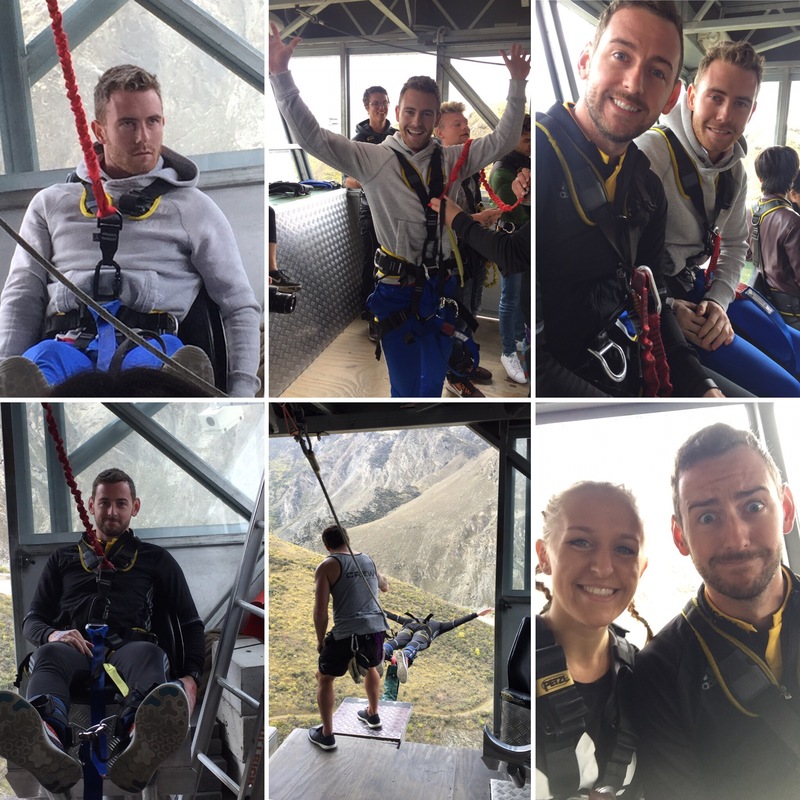 We all knew we had to do the big one if we were going to do it at all and the Nevis Bungy is the highest on the continent and one of the highest in the world – we’re crazy, I know! 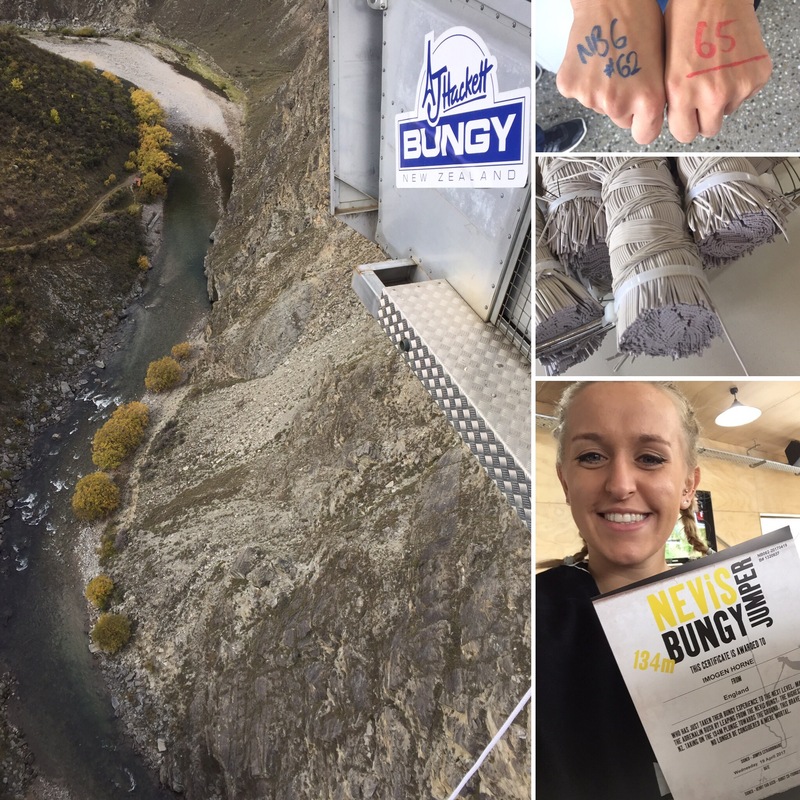 We did our bungy just after 11am and, if I’m honest, it didn’t really sink in for me that I was going to do a bungy until I was about to do it. 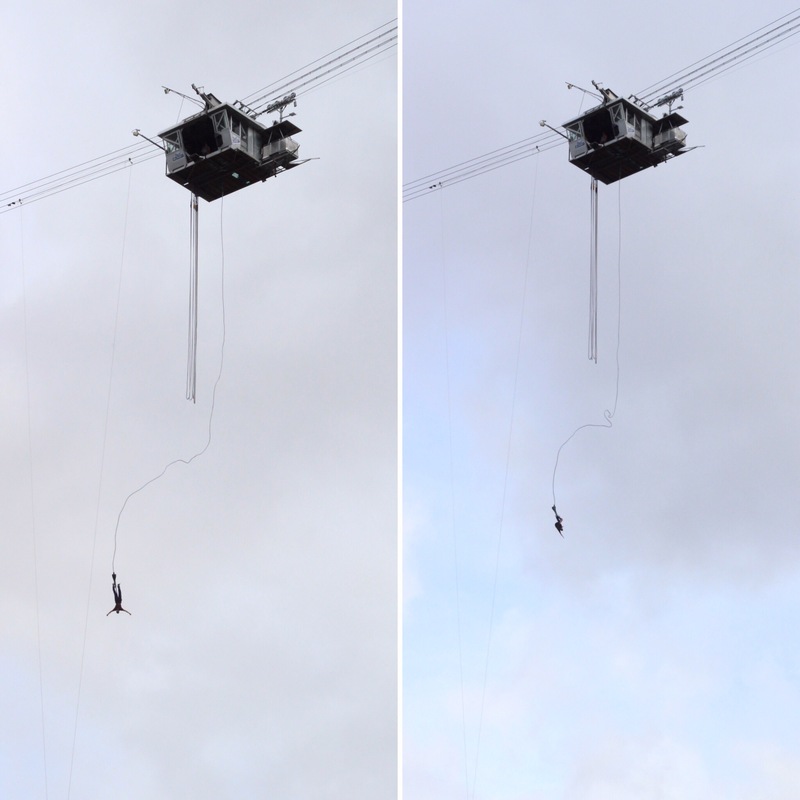 Niall was really excited to do the bungy jump and everyone else ranged from feelings of terror, disbelief and excitement at different times! 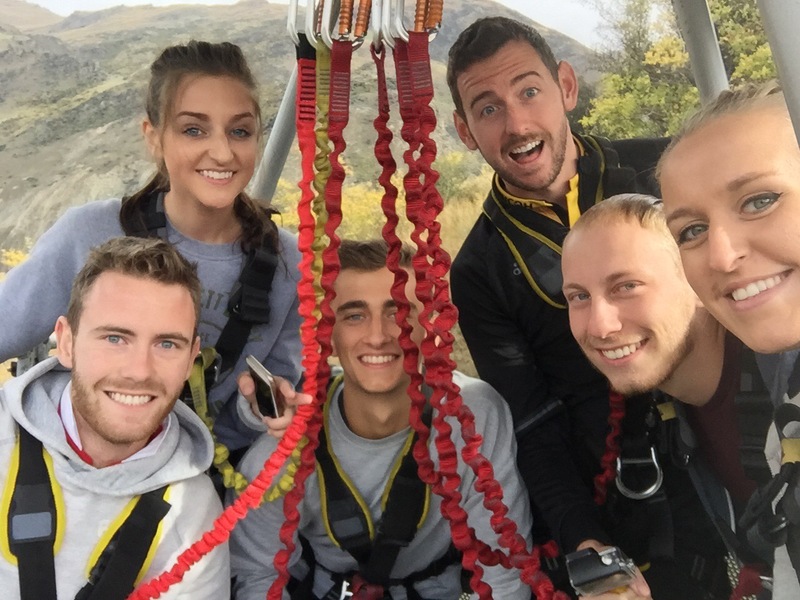 We got a 45 minute bus to the canyon, was checked in and had our weight checked for the 3rd time that day before getting fitted into our harnesses. 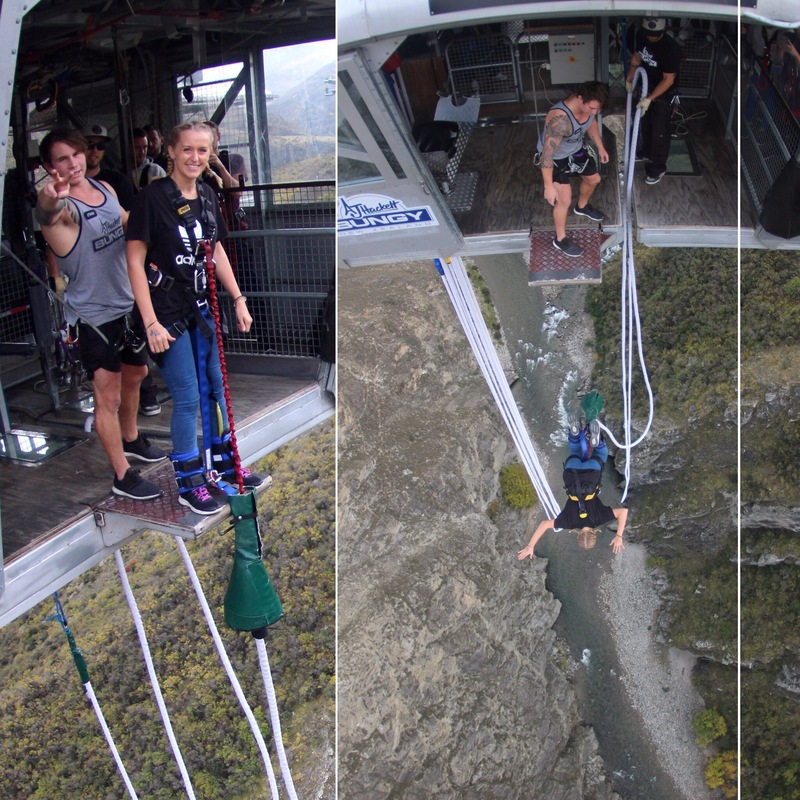 We were then taken to the cable car that would take us over to the bungy station that was in the middle of the canyon. The ride over was our first chance to see how high the fall was going to be. Since we were all in the safety of the cable car we all seemed pretty confident with the height and what we were about to do. The nerves would soon be kicking in though! Keith was the first in our group to go and the nerves were apparent not just for him but for us all. Niall was even shaking his head as Keith approached the ledge. 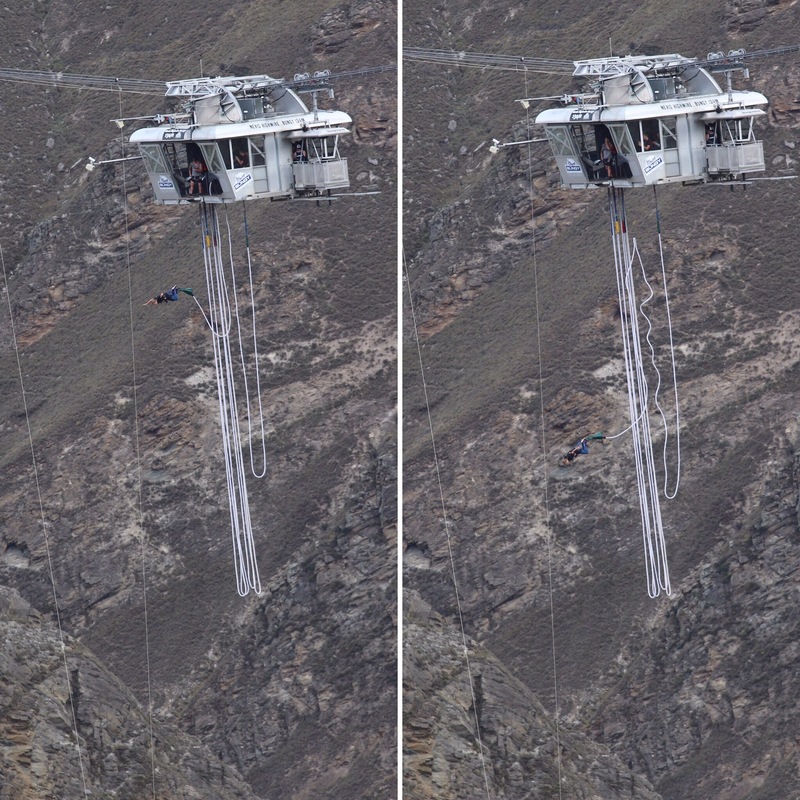 He seemed to jump so quick and it was quite scary seeing him disappear into the canyon below! When he was brought back up the look of joy and exhilaration on his face calmed me down while I waited for my go. Padraig was the same and they both absolutely loved it. Next was Niall’s turn. 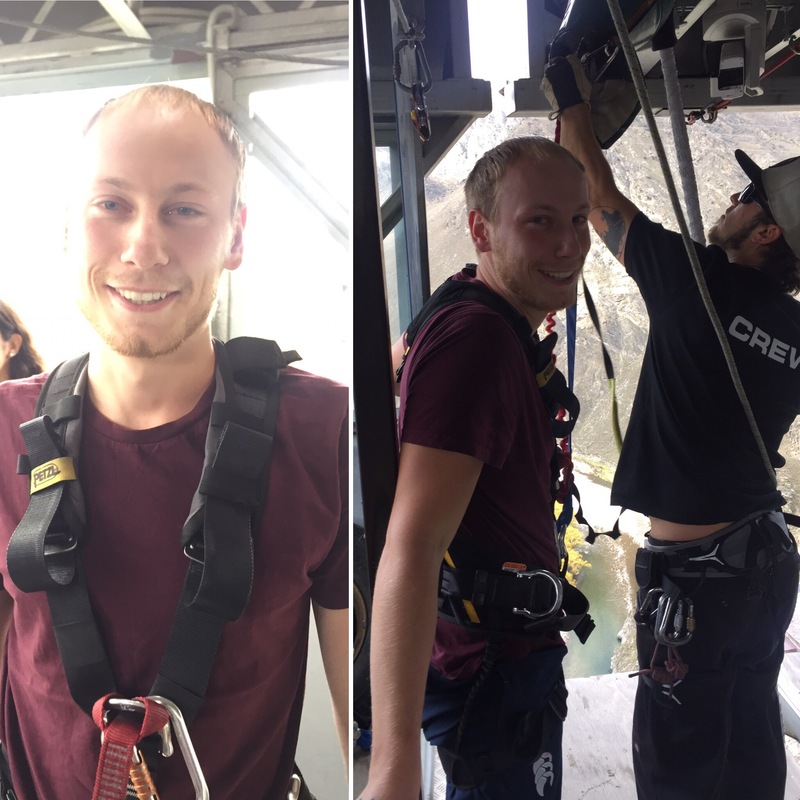 He looked pretty nervous when getting attached to the bungee cord and was taking some deep breaths to calm himself before he jumped. Later he told me that he was feeling scared when he was waiting to go and he knew he just had to jump straight away to make sure he didn’t overthink it. He shuffled himself to the ledge and was still feeling scared for the jump (I’d have been surprised if he wasn’t). 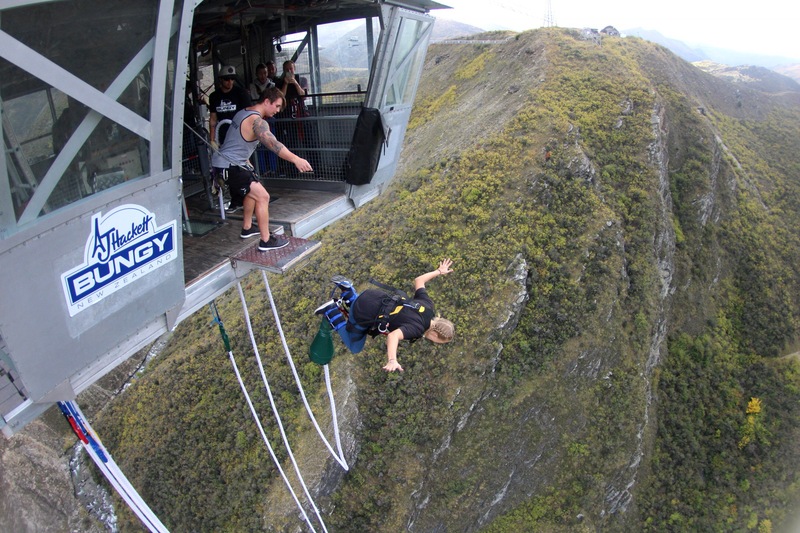 When the bungy cord is thrown out over the ledge you feel a tug and the weight change and you don’t know if it’s going to pull you off. They make you look at the camera before you jump and Niall said that this helped his jump as it took his mind of what he was about to do for a second. 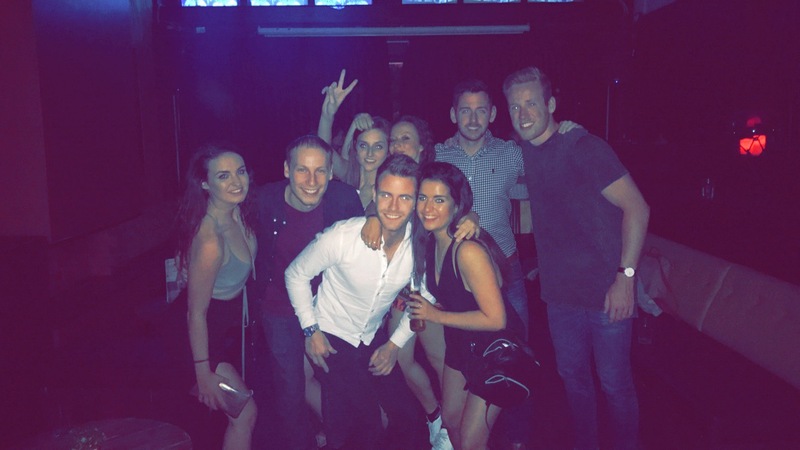 Straight after the photo they go 3, 2, 1 and you jump off. 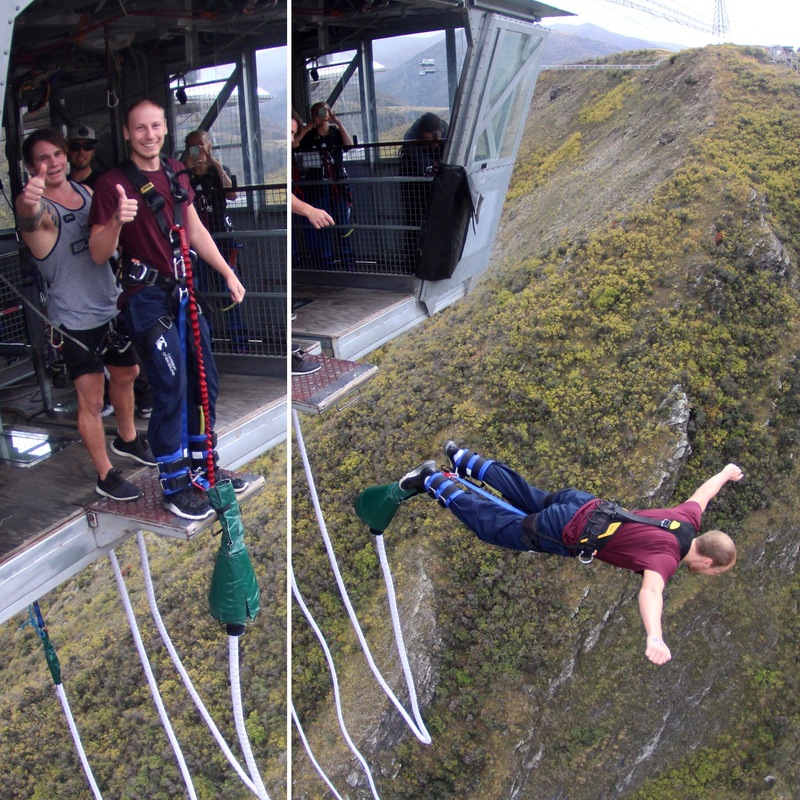 Niall says that he felt scared pretty much the entire time he was bungying. When he came back up his eyes were blood shot from the fall and he was trembling from the adrenaline of it all. After a few other people, it was time for me to go. 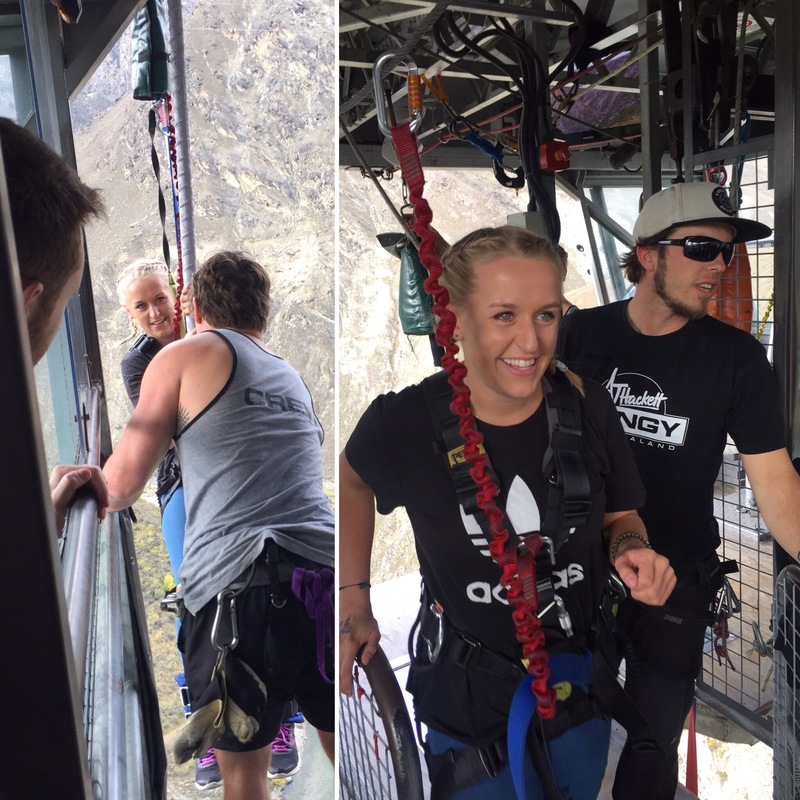 I sat in a chair by the ledge to get the bungy fitted and it still didn’t really feel real what I was about to do. I think it was only really when I got up and had to walk to the edge that it really hit me that I was about to throw myself off the ledge. Niall said that he could see me get more nervous and, by the time I was on the edge, I could hear my heart in my head! 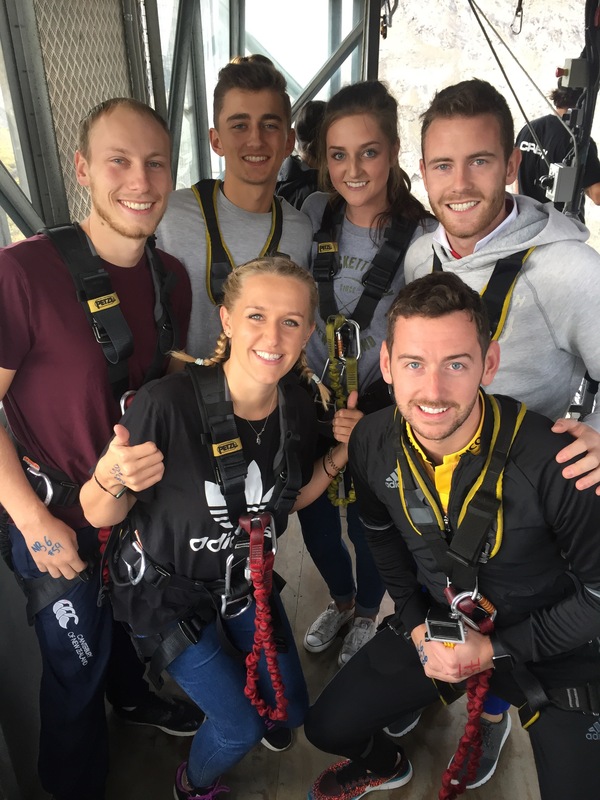 I couldn’t really believe I was voluntarily choosing to do this and, unlike Niall, smiling at the camera didn’t do anything to take my mind off the jump. They did the countdown and a bit of bit wasn’t sure if I’d be able to do it! I bent my legs, leaned forward and went to propel myself off the edge in the ‘swan dive’ motion we were shown and my legs just wouldn’t do it. 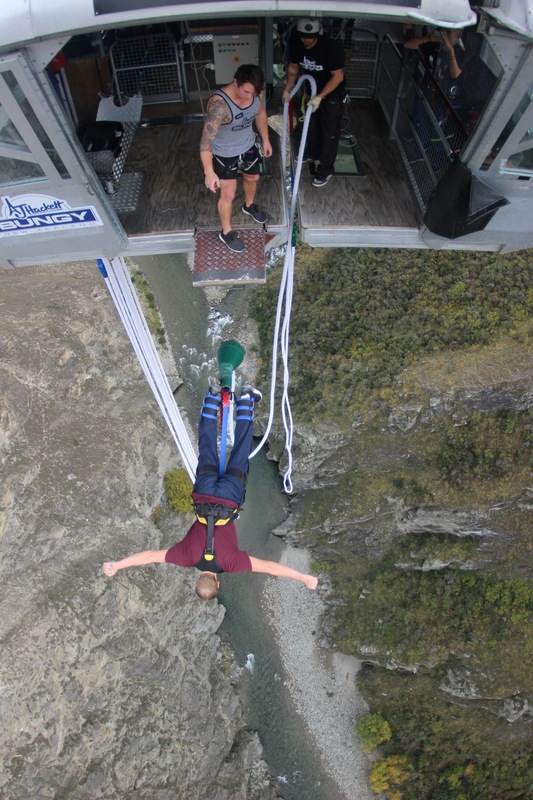 My body had obviously decided it didn’t like the idea of jumping 134m into a canyon and so instead I ended up tipping off the edge into my fall. It was honestly the most terrifying feeling I have ever felt. You are falling and I just screamed and screamed and it was a scream of pure terror. I was flailing about with no control over it and then, when the cord has all extended, you bounce and shoot back up. 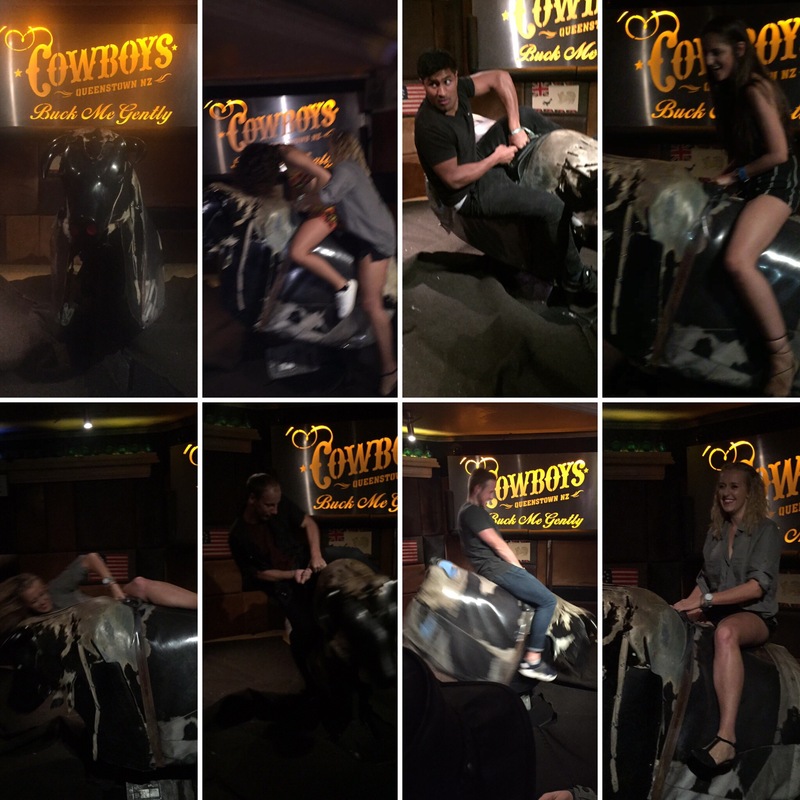 I went fully on my front and it felt for a second like I was suspended in midair before I had a huge lurching feeling in my stomach and then fell down again. 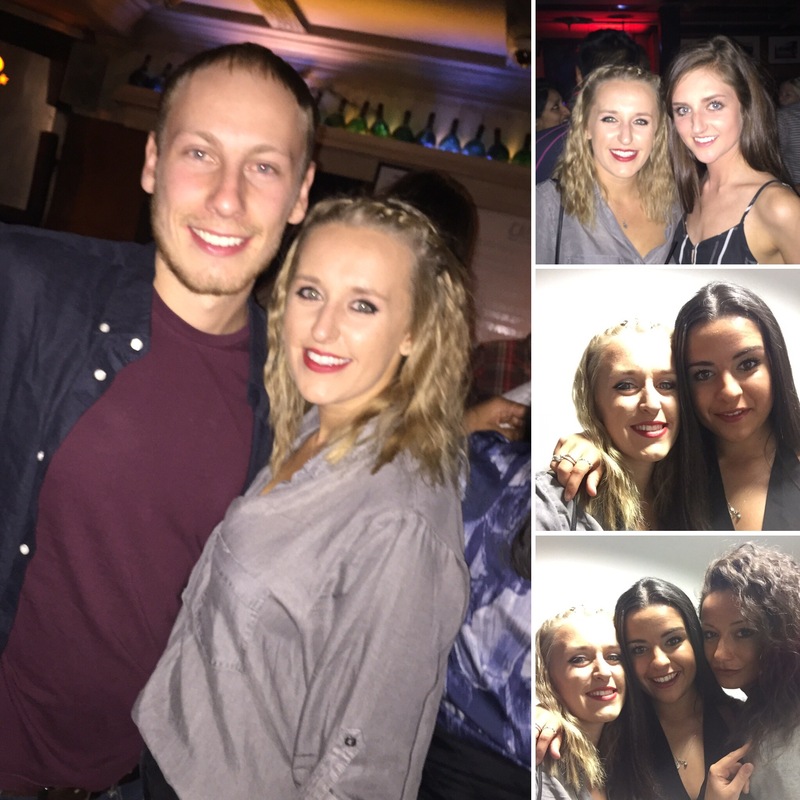 The whole experience was so disorientating and over so quickly. 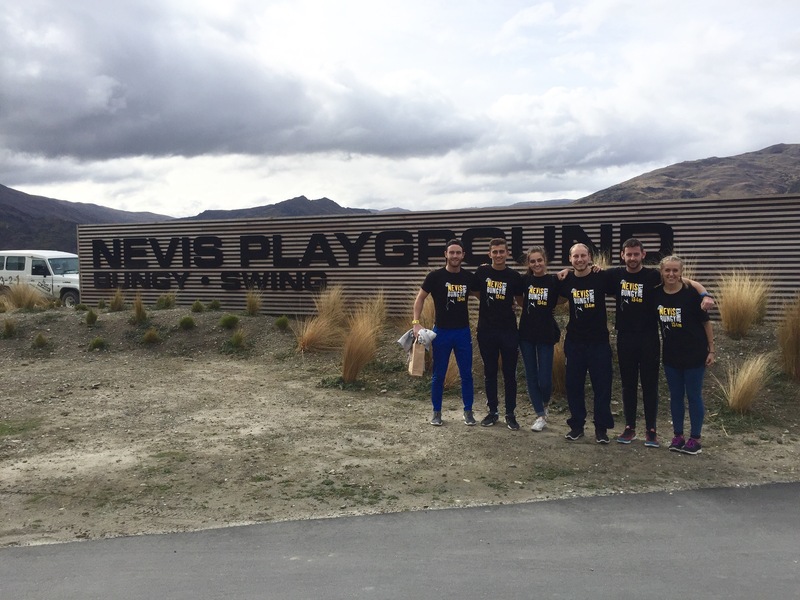 The second fall you do after bouncing back up is the same as a standard sized bungy so doing the Nevis is like doing two bungy’s in one! It was hard to know if you were the right way up and I don’t think at any point I could fully comprehend that I was falling through the air. 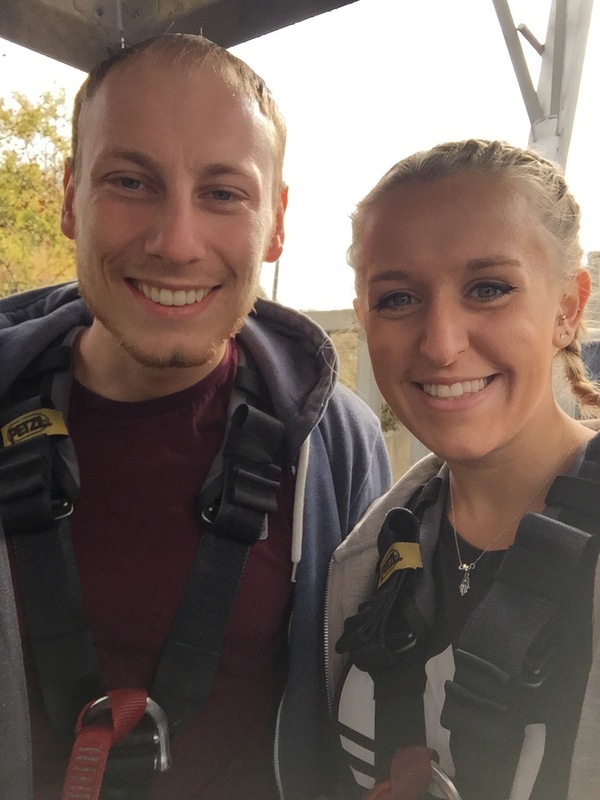 Once the bounces became smaller (on around your 3rd bounce) you had to pull a cord that separated your feet from one another so that you would flip the right way up for your ascent back to the top. This was easy in theory but I completely lost count and couldn’t work out when I was up or down so didn’t know if it was time to pull the cord. 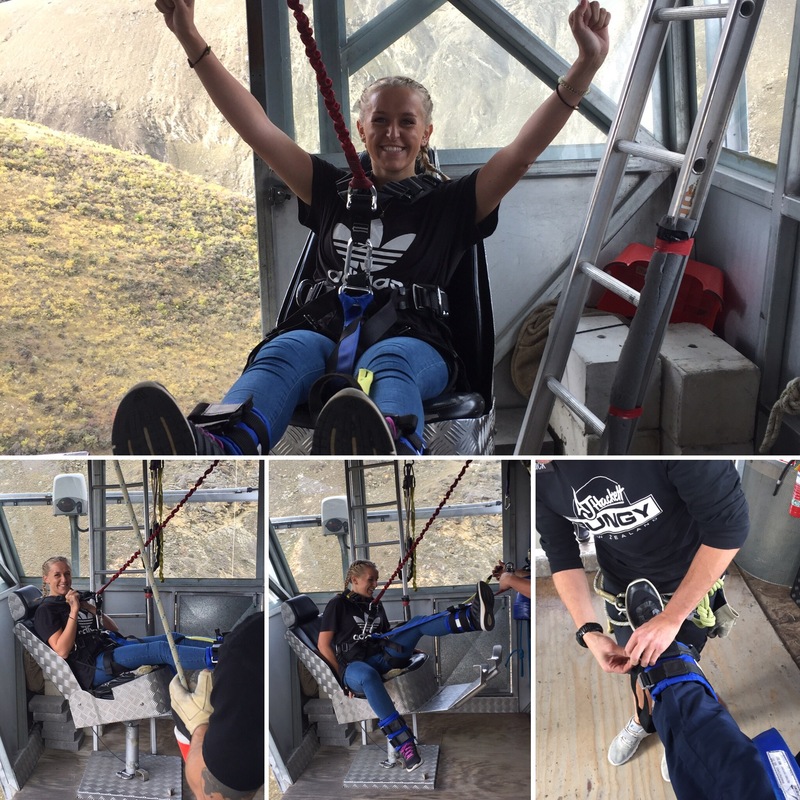 I got to a point that I was nearly not bouncing at all so I quickly pulled the cord which unattached my legs and I was then attached by my harness, in a seated position for the ride back up. 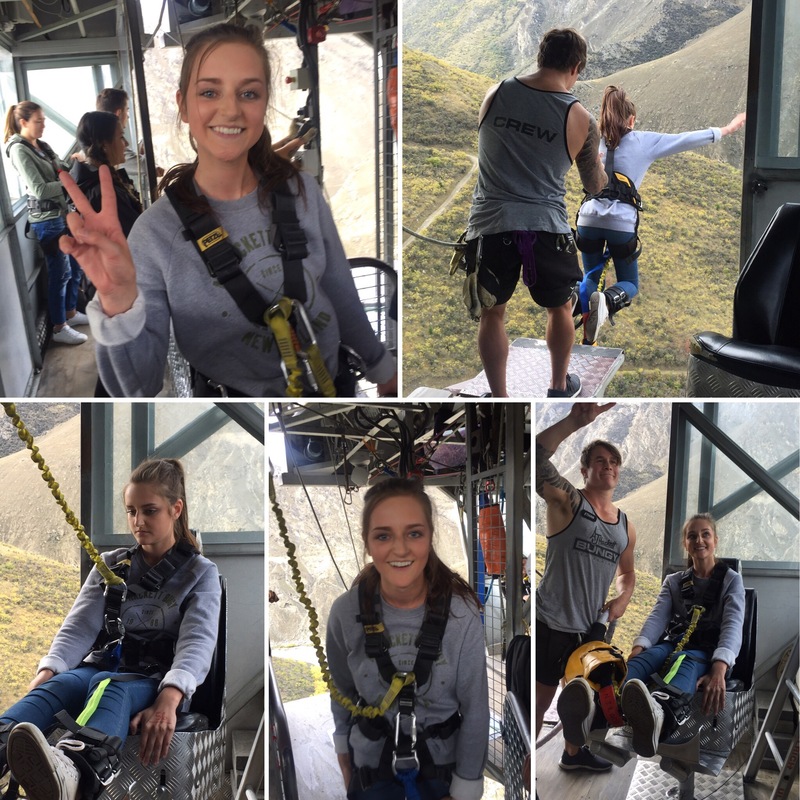 Even on the ascent you are swaying around and the whole way up I was like ‘oh my god… I can’t believe I’ve just done that… this is mad’. This is the first time you really get to look around at the canyon you’ve just jumped into. When I got to the top I was shaking all over and could hardly keep my legs straight. Me and Niall we’re both on such a high. 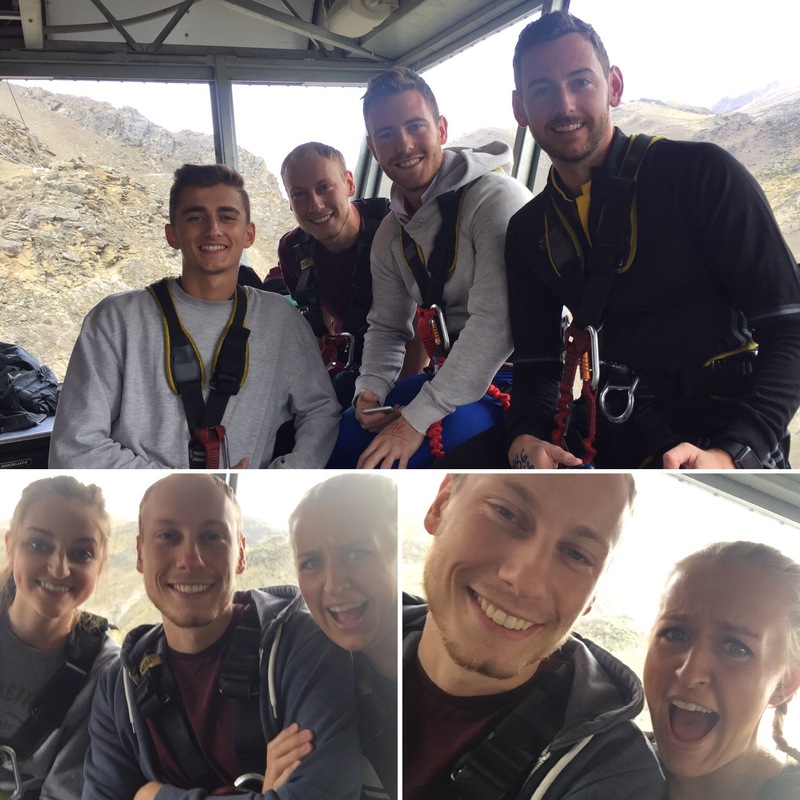 Our friend Megan was the last in our group to jump and her nerves nearly stopped her from doing it! She froze on the edge of the ledge and the whole place was willing her to make the jump. 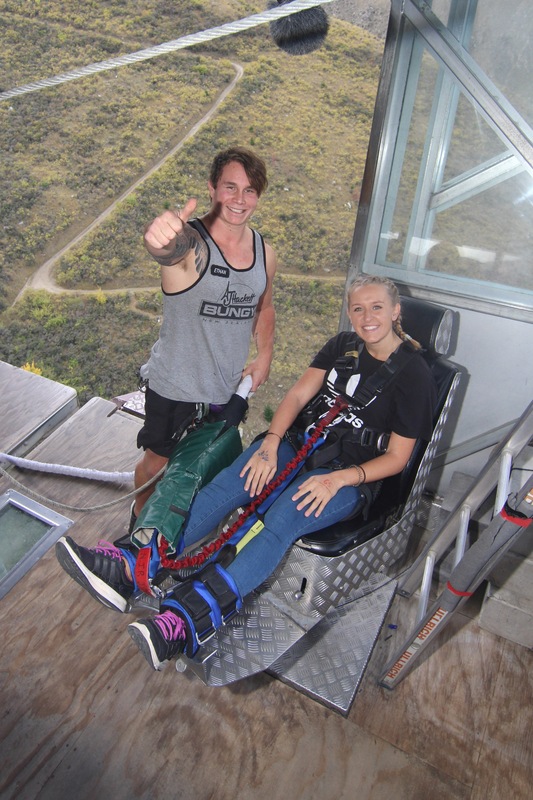 The cheers when she did jump were huge and it was a lovely moment that everyone was all in the same mind of what a big achievement doing the bungy jump was. 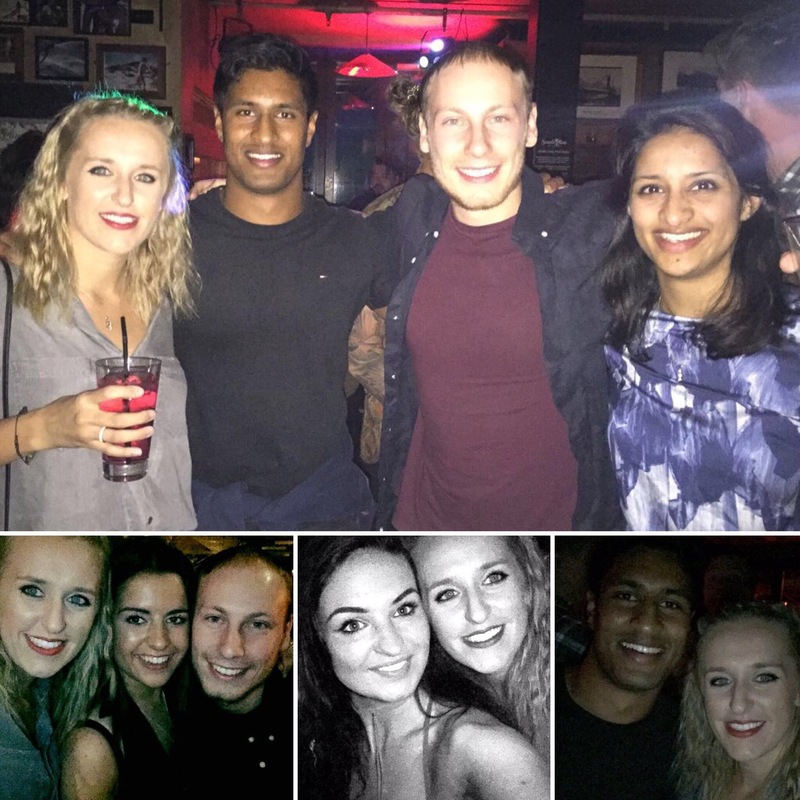 We were all so pleased for each other when we were all done and just couldn’t shake the good mood and huge sense of achievement we all felt. 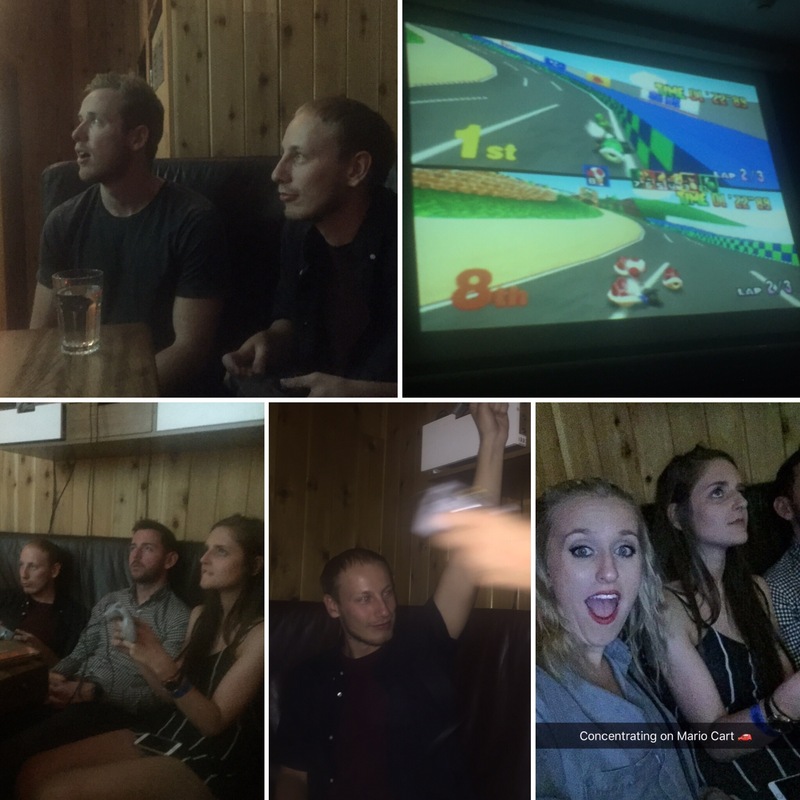 We all got given a free t-shirt and a certificate to say we had done it and we bought all the videos and photos. 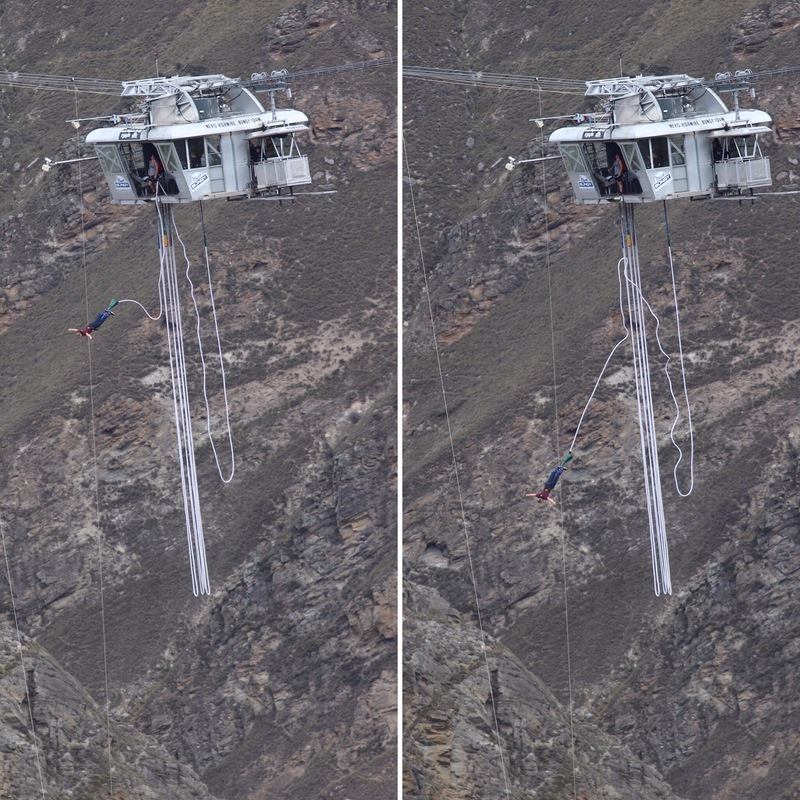 Its hard to comprehend how it felt to do the Nevis bungy. 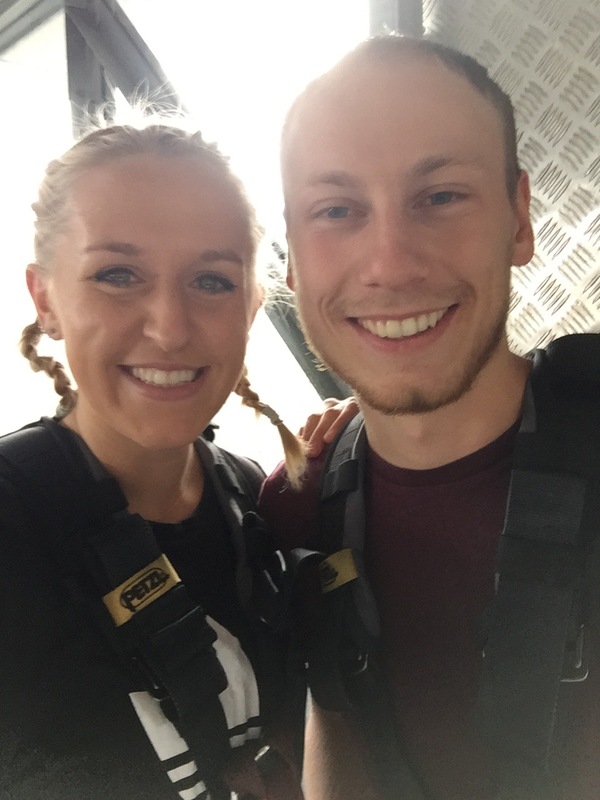 We have never felt so scared and I’m so proud of us both for doing it. It’s a huge sense of accomplishment but certainly not something I think I would want to repeat any time soon. I think I’m fine only doing it once in my life but I guess it’s best never to say never. I’m still really proud to have been able to do it and I don’t think I’ll ever forget that feeling of fear I had from it. I imagine it would be the same feeling every time you did it. I am also really glad that we did it from such a tall one as you may as well go big if you’re going to be scared anyway! 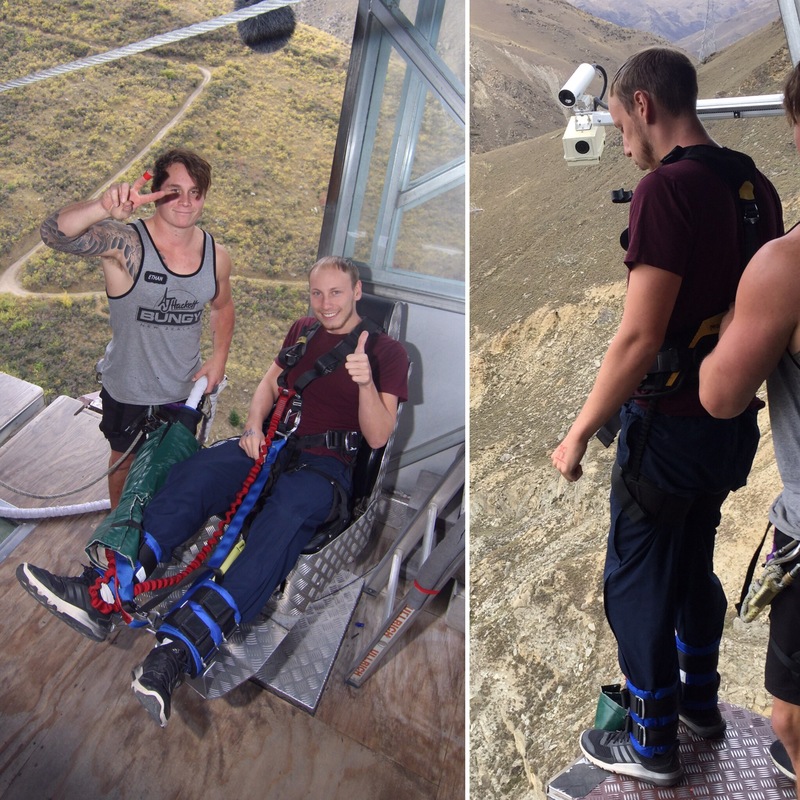 That was the main thing we wanted to do in NZ and another thing ticked off the bucket list!